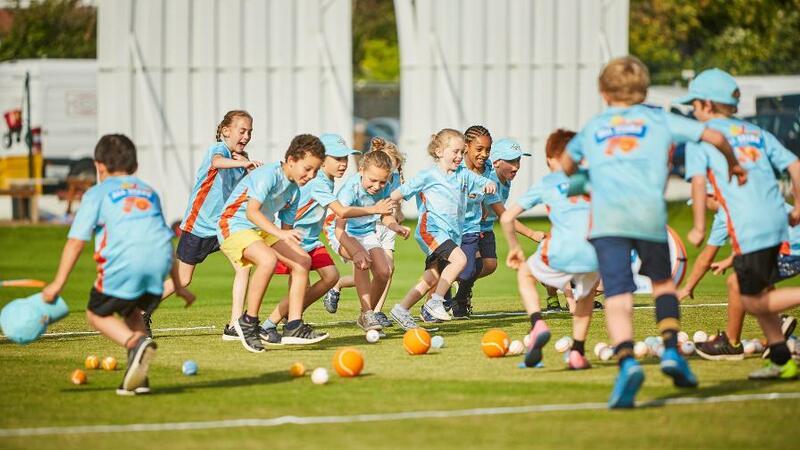 All Stars Cricket, the ECB’s programme to inspire the next generation of five to eight-year-olds, is back with over 2,000 clubs across England and Wales taking part this summer. 37,000 children enjoyed the ground-breaking first year of All Stars Cricket and 2018 looks set to be even bigger and better with 20,000 signed up with more than six weeks remaining until the programme begins in mid-May. All Stars Cricket is all about ensuring that kids and their families have a great first experience of the game down at their local club. Parents can register their children now via allstarscricket.co.uk to ensure they have a summer full of great moments. Year two of the programme kicked off at Edgbaston Cricket Ground with 80 local participants, many from nearby Kings Heath Cricket Club, enjoying a mass All Stars Cricket session. They were joined by current and former stars including England white-ball Captain Eoin Morgan, World Cup winning wicketkeeper Sarah Taylor and former England internationals Isa Guha and Michael Vaughan. The players also faced a press conference with a difference as the kids quizzed their heroes in an event hosted by BBC CBeebies presenter and All Stars Ambassador Ben Cajee. Matt Dwyer, ECB Director of Participation and Growth said: “The fact that 20,000 parents have already signed up their kids for All Stars Cricket is incredibly encouraging. “We are introducing a new generation of cricketers to the game and that starts with a great first experience at their local club. Leicestershire and Rutland All Stars Cricket Champion is Nathan Matthew and can be contacted at nathanmatthew@leicestershirecricket.co.uk or 07706232414. Please get in touch if you have any questions or would like to be involved.